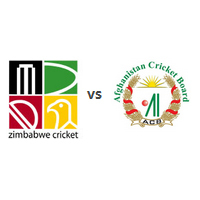 Predictions and betting tips for Zimbabwe v Afghanistan 2015 Cricket series. Afghanistan will play 5 ODIs and 2 T20 matches in Zimbabwe, we will cover all matches. Afghanistan created history while winning series against a full member nation when they defeated Zimbabwe in the fifth ODI and flew away with a 3-2 outcome. Afghanistan bounced back in the five One Day International series vs. Zimbabwe by winning the fourth game, made it 2-2 and anticipates grabbing the final one. Zimbabwe took a decisive lead in the five match ODI series when they defeated Afghanistan in the third game and will go all out to win the coming match. Afghanistan got back in the five ODI series against Zimbabwe while grasping the second game and will anticipate same results in the remaining ones. Zimbabwe crushed the visiting Afghanistan squad in the opening ODI, leads the five match series at 1-0 and anticipates same results during the coming matches. Zimbabwe recently grabbed the three One Day International series against Ireland at 2-1 and will take over Afghanistan next in five limited overs games at home.